Cook the noodles according to package instructions. Remove from the heat, strain and return to a pan. Quickly add all the ingredients, mix well using a fork, return to medium-low heat and cover for around 15 mins. Make a round omelette with the second egg. 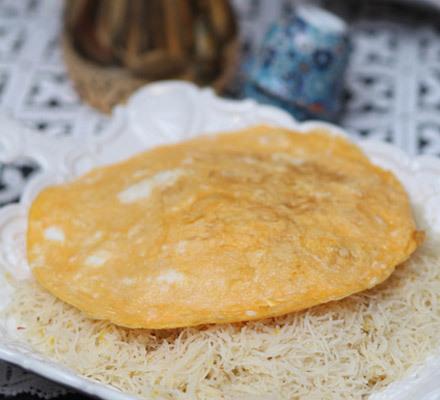 Serve the Balaleet topped with the omelette.